“On Tuesday 3 November, a bird carrying a baguette bread caused a short circuit in an electrical outdoor installation…..The bird escaped unharmed but lost its bread” . Below is a timeline of events since the start up last year. The Incident was some technical thing which took over a year to repair. 10 Sep 2008 – Start up. 19 Sep 2008 – Incident. 23 Oct 2009 – Restart. – New Moon conjunct on Arcturus. – Solar eclipse conjunct startup MC. – Mercury conjunct Incident Mercury. – Jupiter conjunct Incident North Node. 03 Nov 2009 – Bird Attack. – Moon conjunct Incident Moon. – Mars conjunct Restart DC. Based on the Startup chart shown, I expect this Science to ultimately prove the existence of the 4th dimension. Science proving spirituality. The reason is Arcturus. Arcturus is an extremely fortunate star. From Constellations of Words, “If rising: Good fortune, with many cares and anxieties through own folly.” Folly is leaving the lid open on $4.6 billion scientific thingie for a flying rat to stuff up. “Arcturus is that which may be called the center of this universe….Arcturus is that junction between the spheres of activity as related to cosmic force…..Arcturus, or that center from which there may be the entrance into other realms of consciousness” . 1. Peckish bird briefly downs big atom smasher. A superb piece of astrology about the “Stargate”! I particularly like the pic of the pigeon looking like it’s actually symbolically trying to shove itself into the 4th dimension through a white slice of Homepride. If anyone was sharp enough and had seen that bird parading itself through the streets of Geneva they should have taken it as an omen! all stars, indeed, are the center of the universe. Yes,it seems like a credible theory. Dare I say I understand and support the avian community? Remember the “Miracle on the Hudson”? It was a flock of geese that brought down a plane into the Hudson river by flying into the engines or something back in… February or March, I think. No fatalities, a couple of minor injuries. Too many dumb humans make birds out to be nuisances. They’re just fighting the good fight in return :)! 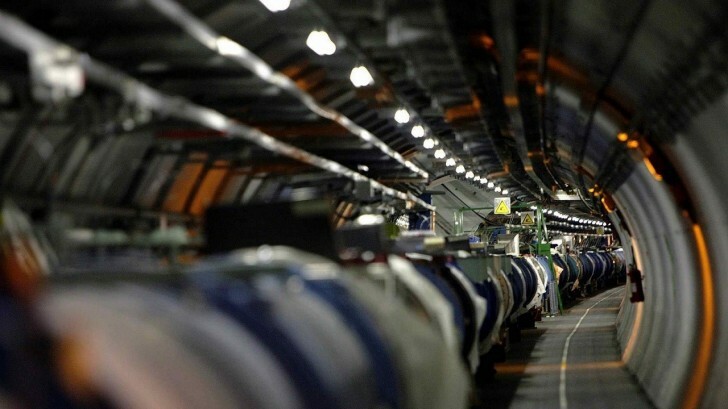 another big step closer today: “With these record-shattering collision energies, the LHC experiments are propelled into a vast region to explore, and the hunt begins for dark matter, new forces, new dimensions and the Higgs boson,” . Mercury was 24ari53, opposite Arcturus. Moon was 14lib35, conjunct startup Mercury Mars. Excellent, thank you. One day out. Going to have to rewrite all the physics books!